A specialist food crime unit should be set up in the UK in the wake of the horsemeat scandal, a government-commissioned review has recommended. Prof Chris Elliott, of the Institute for Global Food Security at Queen’s University Belfast, said the UK has high standards of food safety. But he said the scandal, uncovered in January, “clearly showed criminal activity in the global food chain”. He called for “intelligence hubs” to gather information on food crime. After the initial discovery by inspectors of horsemeat in processed beef products, horse DNA was found in other ready meals. Prof Elliott’s report said there was “a worrying lack of knowledge” the extent in which criminals were infiltrating the industry, he said. “I believe criminal networks have begun to see the potential for huge profits and low risks in this area. The new food crime unit should be set up as a non-Home Office police force, modelled on systems working in countries like Denmark, Holland and Northern Ireland, the report says. Hosted by the FSA, it would have the capacity to deal with “complex food crime perpetrated by highly organised and dangerous, potentially violent organised crime groups”. The report also outlines a series of ways that organised criminals are able to make huge profits from the food chain due to inadequate enforcement of regulations such as labelling. For example, fish is vulnerable to several kinds of fraud, including the substitution of cheaper species for expensive ones and adulteration of products with other species. The report says all parties who operate and manage the food chain “must put consumers first over all other aims”. The horsemeat scandal resulted in product recalls by a number of supermarkets and food producers, both in the UK and across Europe, and threw the spotlight on the food industry’s supply chain. The report was commissioned by the Department for Environment, Food and Rural Affairs (Defra) and the Department of Health. 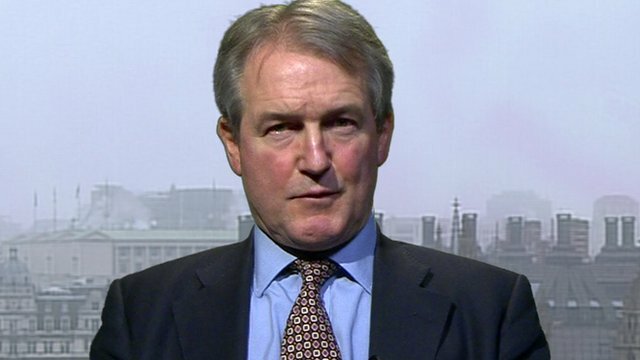 Environment Secretary Owen Paterson said: “The fact is we have already taken some steps which are recommended in this review. The Food Standards Agency said it agreed that central government, local authorities and the food industry needed to work together in a proactive response to food crime. It said that it was already working to detect and deter food crime. “For example, we are carrying out a study to test that products which are labelled from the UK are in fact from the UK, we have introduced unannounced inspections of meat-cutting plants and we have increased to £2m the funding to local authorities to support their own testing programmes,” a statement said. The FSA added that it was working with the European Commission to establish an European Union food fraud unit. The Food and Drink Federation, which represents manufacturers, said it had developed a guide to best practice to help protect manufacturers and consumers.